Muhammad told his followers that they would find him prophesied of in the Bible and so, for the last 1,400 years, Muslims have looked high and low for him there... but in vain. They have found a few favorite verses which they take completely out of context and grossly misinterpret in their desperate attempt to find Muhammad's claim affirmed by the God of the Jews and Christians. 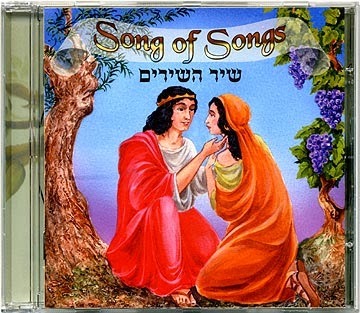 But what arguably has to be their oddest choice is King Solomon's "Song of Songs." Depending on your theological proclivities, "Song of Songs" is a poem that either describes the love between a bride and his groom, or is an allegory of the love between YHWH and Israel if you're a Jew, or between Christ and His Church if you're a Christian. The Muslim claim is that the Hebrew word, "machmaddim," which is translated as "altogether lovely" in Song of Songs 5:16, is actually the name of their prophet. Because the word "machmaddim" sounds a little like "Muhammad," Muslims say the Jews have deliberately mistranslated the word to erase any prophetic trace of Muhammad from Bible. Problem #1, of course, is the fact that there is no proof of either Jewish or Christian corruption of the Scriptures. Problem #2 is that, not only is the word completely intact in the oldest manuscripts, it also makes perfect sense in its context. Problem #3 is, well... let's say that we shall let the texts speak for themselves. Let's grant (but only for the sake of argument) that the Islamic interpretation of Song 5:16 is correct, and that, therefore, every other place in the Bible that has the Hebrew word "machmaddim" is a reference to Muhammad. Hopefully, our little exercise above serves to dissuade these very imaginative but woefully inaccurate Bible "eisegetes" from playing games with the Bible text in the future. That way, they can avoid looking so silly.